PhotoShine is popular image editor used to attract pictures under a wide collection of predesigned templates with stylizing, textures, frames and colors. Creating beautiful backgrounds, frames, stylize borders, add different textual styles on templates is most difficult job but a professional graphic designer can do it. A starter image editor can use predesigned templates, backgrounds, text styles, borders and other frames of PhotoShine to beautify personal snaps. Import favorite picture, add coloring styles, resize image, apply filtering effects as well as change backgrounds to make your image looking awesome. PhotoShine is one of light, smart and fast image editing software used to purify personal albums as looking beautiful. There are many multi window templates where images will be automatically fixed by PS. CorelDraw graphics suite, Adobe Photoshop, ACDSee, Irfanview and Picasa are awesome photo editors but they are not offering any type of predesigned templates, frames or backgrounds. However, PhotoShine is easier top operate because there is no more complex menus, sidebar tools and other options. The simple templates were listed in left sidebar, just a single click will apply templates on picture. PhotoShine full version has more than 600 templates with variety of categories. 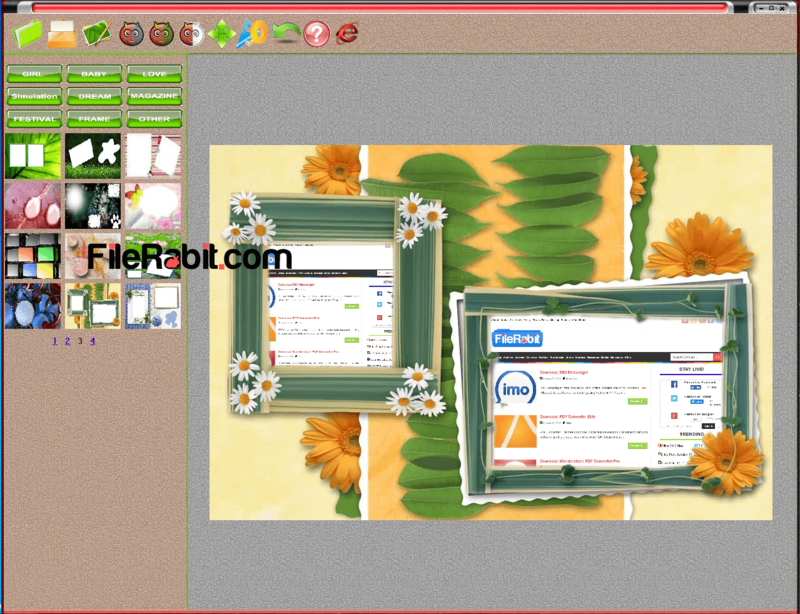 The freeware version has enough data of templates with 200+ image designing backgrounds. PhotoShine has 9 types of template categories including Girl, Baby, Love, Board, Dream, Megazine, Festival, Frame and other. Each category has wide collection of photo templates and most of them are above 20. A single click on templates will automatically transform dead picture into stylized and stunning image. Some templates has dual image box and some has more than it. Load image first and then select favorite template so it gives quick preview upon click on template. Gray, rotate, sketch, resize and other tools will transform both small and big pictures individually. 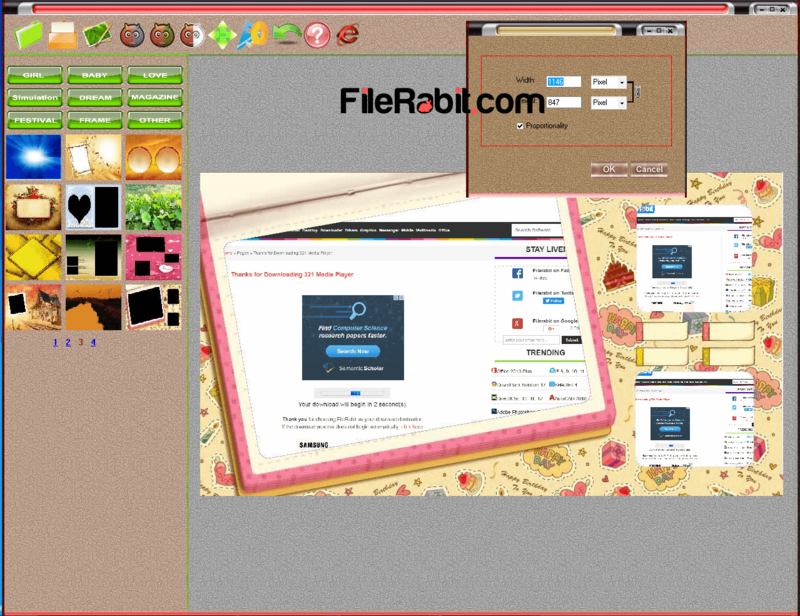 PhotoShine Mini version is actually a freeware software but with limited templates and theme effects. However, the full version of PhotoShine is rich with 680+ templates with non stop effects. Moreover, save favorite templates after adjusting snaps in themes.